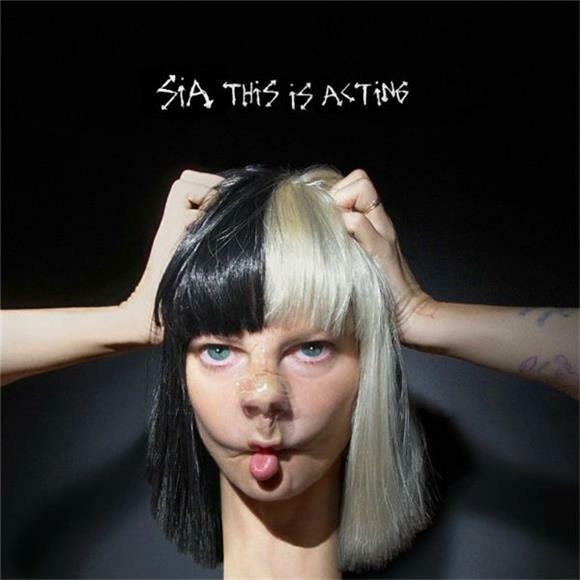 Sia's upcoming album, This Is Acting is bound with one anthem after another, each song being carried by Sia Furler's piercing choruses, pitches which seem to make her voice seem on the verge of cracking (in a way that makes songs like "Alive" what they are) and some haunting vocal tremolos that she adapts to create a certain kind of warmth in every song. Because This is Acting is full of songs written for multiple artists at different times, Sia's performances on this album are incredibly diverse, and ideas are all over the place. When collected en masse, these songs provide a portrait of emotions that can be both riveting and fun. Each song has its own character to it, and the album has contrast and climactic highs and lows throughout that provide depth and glamour to the experience of the album. Songs like "Move Your Body" combine crashing beats with buzzing synths to create a loud and pummeling dance hit which Sia's voice as always has the capacity to cut through. "Cheap Thrills" and "Bird Set Free" create a sort of slowed-down, intense twist that Sia has used in some of her dancier songs in order to create a more introspective while still catchy pop song. Melodramatic in all the right ways, there is a sort of emotional rollercoaster present in many of this album's tracks. "Sweet Design," one of the later tracks on the album, shows the extent to which Sia can work with instrumentals that are more on the experimental and crazy end of things. The beat is extensively layered by a strange combination of funk and jazz, synth-y brass, and is a sound unprecedented by any songs Sia has put out in the recent past. Sia's knack for adapting and constantly evolving her writing, production, and voice really shows through. She presents a collection of songs that can be bellowing in melancholic and somber qualities ("Space Between" being an elegantly morose ending to the highs and lows of This is Acting) or completely empowered, bold dance anthems that hold up to the caliber she has demonstrated in the past. While Sia wrote all of the songs on this album for other artists' use in the studio and had many them "rejected" in some way, it's hard to imagine what the songs would sound like without her voice at the forefront. In that light, the tracks on This Is Acting belong exactly in the state they exist in, and each of these rejections was a fortunate circumstance in piecing together an album that feels very much complete.